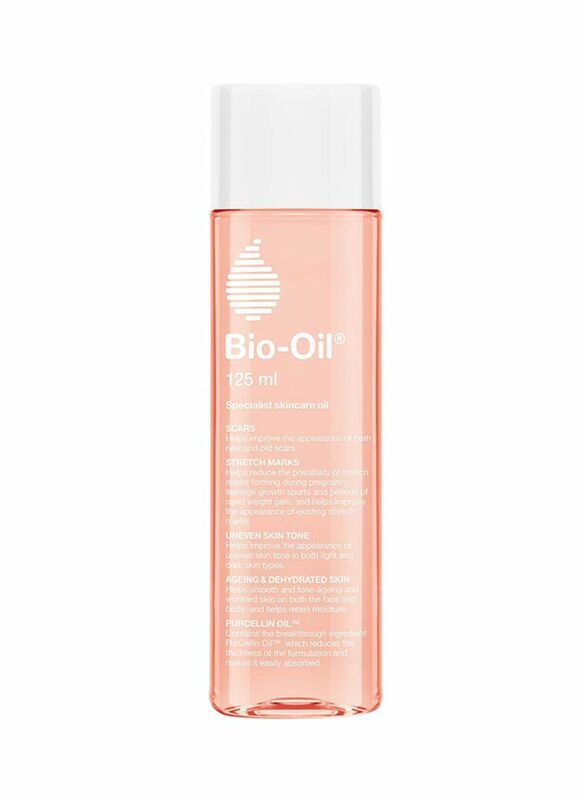 Built into the daily skin care routine, Bio-Oil Specialist Skincare can be applied all over the body, including the face. 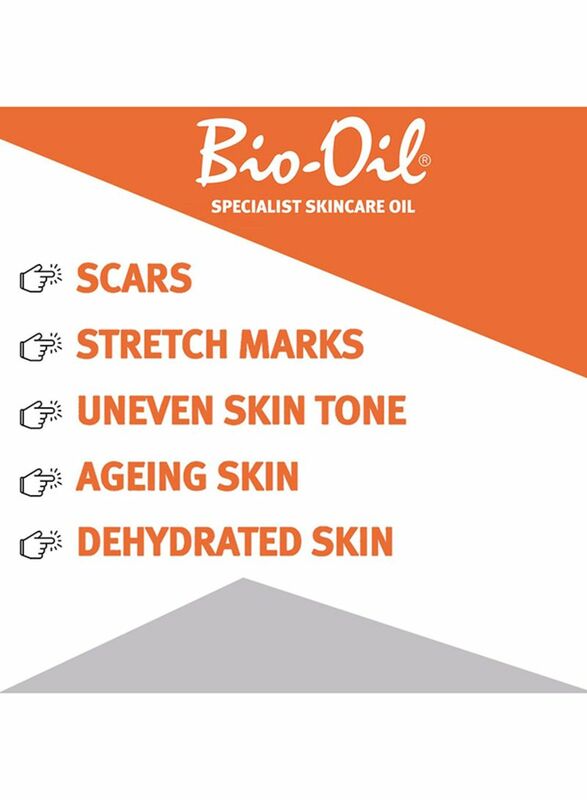 Use as a daily moisturiser to help improve the appearance of uneven skin tone, smooth and tone ageing skin and replenish dry and dehydrated skin. 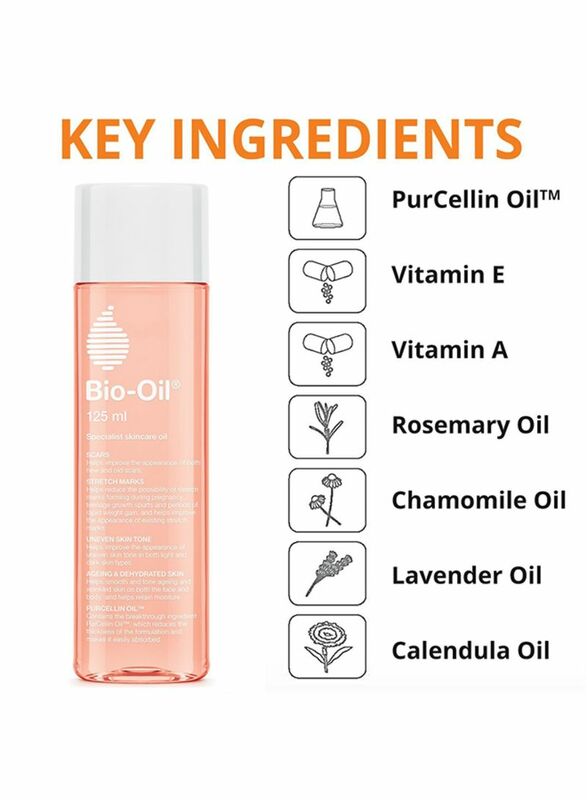 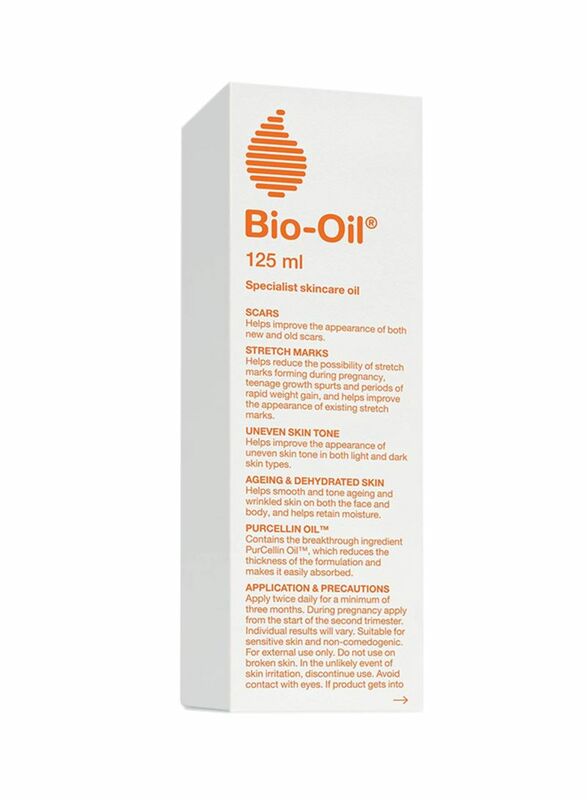 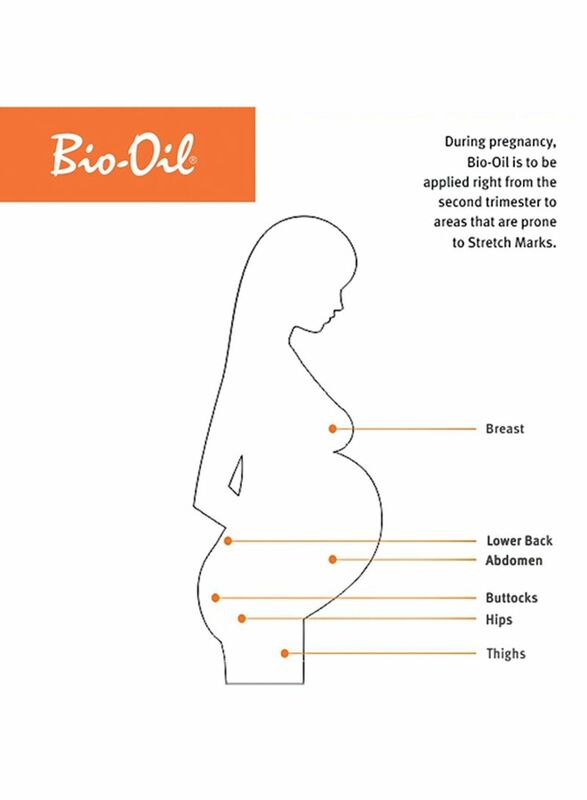 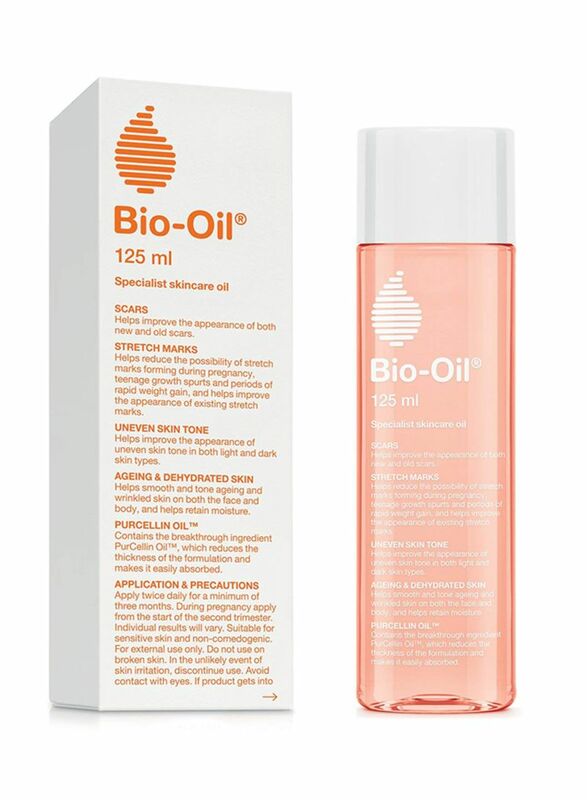 Bio-Oil combines some of the most important skincare ingredients, including Vitamin A and E, Calendula, Lavender, Rosemary and Chamomile oils, plus the unique breakthrough ingredient Purcell in Oil to ensure they are easily absorbed deep into the skin where they can provide targeted treatment.